The Huron Undercover Narcotics Team has a made another arrest, the fourth one in just over a week, regarding conspiracy to manufacture methemphetamine in Alpena. On Monday, HUNT detectives arrested a 45-year-old Alpena man for conspiracy to manufacture methamphetamine and attempt to over purchase psuedophedrine. He is lodged in the Alpena county jail. This is the fourth person arrested in connection with last week’s arrests of three Alpena residents for similar charges. According to HUNT Team Commander Stuart Sharp, its unfortunate, but our area has recently experienced an up tic in clandestine laboratories. “The trends right now in narcotic use especially in our community are very dangerous and they’ve taken a turn from years ago, marijuana…which was a significant drug in our area. Now opiates and methamphetamine have become apart of our community. Those are very, very highly addictive substances. 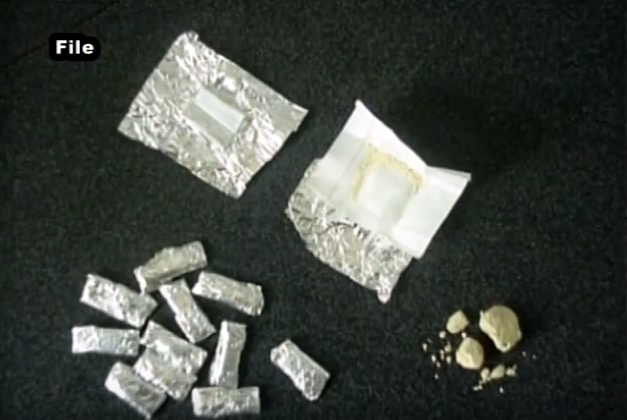 So generally…heroin if you take it one time you have medically become addicted to it, methamphetamine has become pretty much the same,” says D/Lt. Sharp. The HUNT team says there is a network of individuals who are involved in making meth. They are in the process of methodically seeking out and arresting every person involved in the group, including persons who provided psuedophedrine or any other component for manufacturing. They anticipate that more arrests will be made as this investigation continues. They are also seeking the public’s assistance in gathering information, if you would like to give an anonymous tip you can call the group at 1–800–573–DRUG.